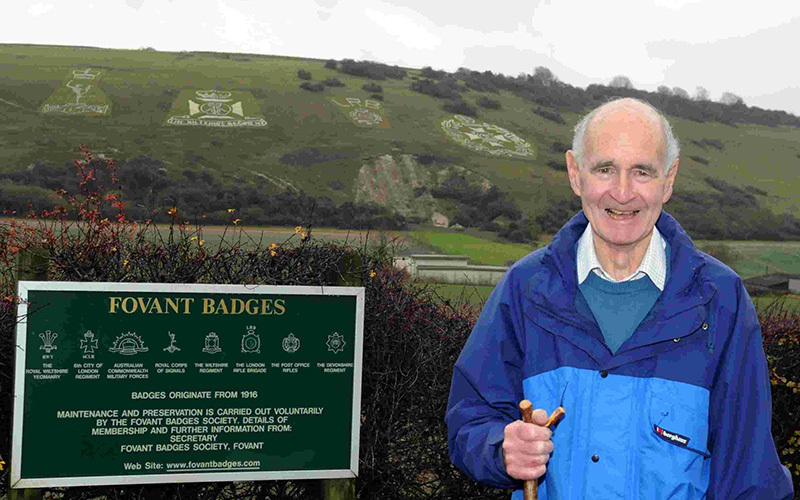 Over the last century many people have helped to maintain and preserve the Fovant Badges. Many are nameless simply because there are no known records. This section of our website is therefore very much a work in progress and we would welcome your comments and contribution to this page. The Home Guard Association Committee in the 1950s, Back row, L to R George Penny, Rev. Eric Blanchette, Willie Langdon, Charlie Foyle, Brigadier W Clapp, Rat Combes, Leslie Bradford. 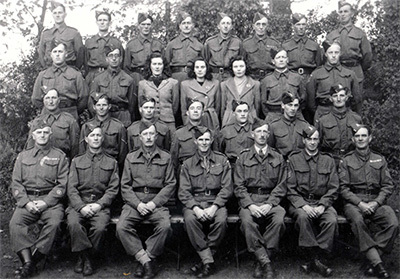 Front Row L to R Charlie Austin, Brigadier Robert Welchman, Bob Coombes. 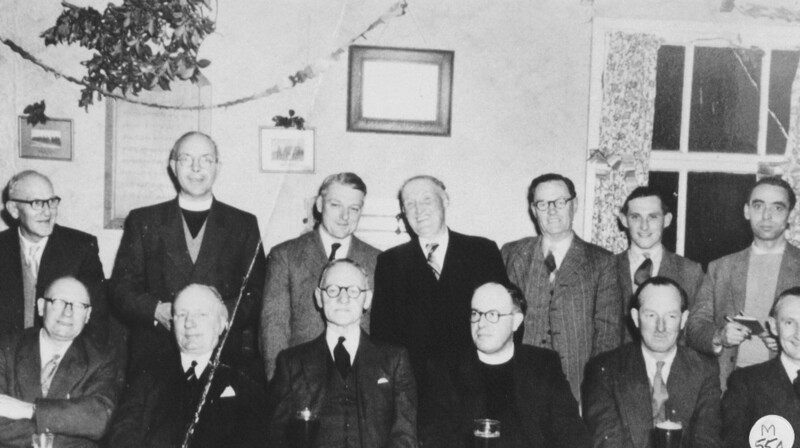 This is a photograph of the Home Guard Association Committee, the predecessors of the Fovant Badges Society, meeting in the 1950s probably at the Pembroke Arms (Photograph courtesy of The Fovant History Interest Group).